Axa Re offers health insurance for individuals. An Asian company based out of Singapore, they have 95 million clients worldwide. Axa Re began as a European company in 1985, but the company continued to expand into the United States in 1992. Compare health insurance quotes online by entering your zip code now! Axa Re offers complete policies for the individual up to age 80. There are six different policies to choose from depending on your needs and budget. You can choose a co-payment or deductible for your policy. Hospitalization, surgical implants, organ transplants, and daily recovery income is all included. Under the Axa Re plans, you can choose a public or private hospital plan in addition to riders which can be added to your policy. For further information, the site offers product features, premium costs depending on your age, and how to apply. Axa Re also offers group health insurance coverage. Under the group health insurance, there are 11 different plans depending on the coverage. There are also riders you can attach to your policies. Another option is International Coverage, which is not only for individuals that live in Asia, but also for individuals that travel abroad. In-patient and out-patient benefits are all covered under this plan regardless of where you are in the world. There are three different plans under the International Coverage. Disability insurance is another type of group health insurance you can purchase under Axa Re. There are four different plans available depending on your needs and budget. Under this particular policy you must be between the ages of 18 and 65. There are eligibility requirements that must be met in order to qualify for one of the disability plans. Plans that offer hospitalization only are also available through Axa Re. You must meet certain requirements in order to qualify for these programs. Certain preexisting conditions are not covered under these plans. There are four plans to choose from; each is explained on the site under Group SmartCare Optimum. A unique product of Axa Re is that they offer insurance when you are undergoing a transition from company paid insurance to individual insurance. They call this insurance Group Leaver. You can actually keep the benefits under your company’s coverage as long as you transfer it within 14 days of leaving your company. For questions regarding your claim, call (800) 880-4741. You can receive a quote by calling (800) 880-4741. The premiums are also listed on the site depending on the plan you wish to purchase. However, you will have to apply to receive coverage. The company allows you to download the application and fax it to (800) 880-4740 or email it to [email protected]. The Axa Re website provides a section on careers with the company. The section explains the values behind the company and how they treat their employees. There is also a health and wellness section on the site as well as an explanation of the training employees endure. Job opportunities can be found under the Job Vacancies section on the site. Responsibilities and qualifications necessary for the job are explained in detail. Resumes can be submitted via email to [email protected]. There is also an entire section devoted to becoming an agent with Axa Re. Axa Re employs over 214,000 employees worldwide. A map with the location is also available on the website. 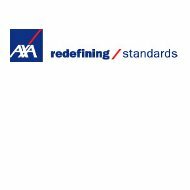 Axa Re is rated AA- by A.M. Best. It is considered the number one health insurer in Singapore. They have been in existence for over 170 years, and the company believes in being available, attentive, and reliable to its policyholders.